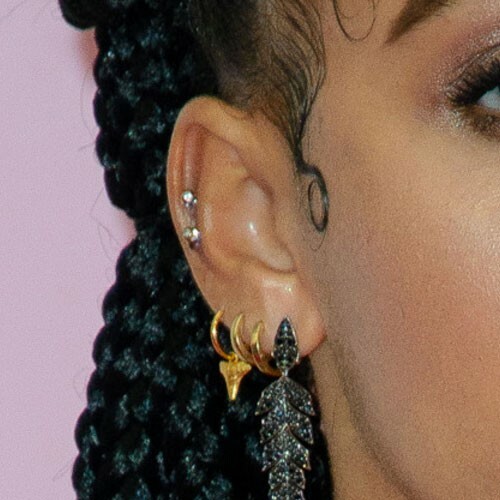 Lilly Singh was wearing a little stud piercing in her tragus and a long dropping chain earring in her right ear lobe at the premiere of ‘Ice Age: Collision Course’ in Los Angeles on Saturday, July 16th. 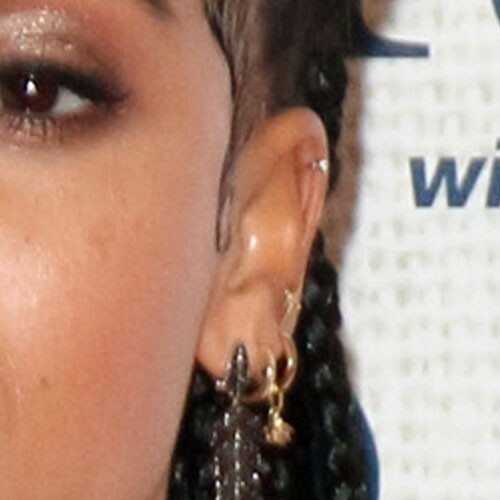 Miley Cyrus wearing drop earrings in her earlobe, three hoop earrings in her upper lobe piercings, and two jeweled studs in her helix piercings. Kylie Jenner wearing drop earrings in her first hole and seven captive bead rings in her other left ear piercings. Nicole Richie used to have a tragus piercing in her right ear, show in this picture from 2004.